A compulsively readable and electrifying debut about an ambitious young female artist who accidentally photographs a boy falling to his death—an image that could jumpstart her career, but would also devastate her most intimate friendship. Lu Rile is a relentlessly focused young photographer struggling to make ends meet. Working three jobs, responsible for her aging father, and worrying that the crumbling warehouse she lives in is being sold to developers, she is at a point of desperation. One day, in the background of a self-portrait, Lu accidentally captures on film a boy falling past her window to his death. The photograph turns out to be startlingly gorgeous, the best work of art she’s ever made. It’s an image that could change her life…if she lets it. But the decision to show the photograph is not easy. The boy is her neighbors’ son, and the tragedy brings all the building’s residents together. It especially unites Lu with his beautiful grieving mother, Kate. As the two forge an intense bond based on sympathy, loneliness, and budding attraction, Lu feels increasingly unsettled and guilty, torn between equally fierce desires: to use the photograph to advance her career, and to protect a woman she has come to love. Set in early 90s Brooklyn on the brink of gentrification, Self-Portrait with Boy is a provocative commentary about the emotional dues that must be paid on the road to success, a powerful exploration of the complex terrain of female friendship, and a brilliant debut from novelist Rachel Lyon. Rachel Lyon's short stories have appeared in Joyland, Iowa Review, and Electric Literature's Recommended Reading, among other publications. She attended Princeton and Indiana University, where she was fiction editor for Indiana Review. Rachel teaches creative writing at Sackett Street Writers Workshop, Catapult, and other institutions, and is cofounder of the reading series Ditmas Lit. Self-Portrait With Boy is her first novel. Visit RachelLyon.work. "The conflict is rich and thorny, raising questions about art and morality, love and betrayal, sacrifice and opportunism and the chance moments that can define a life. The novel wrestles with the nature of art but moves with the speed of a page-turner." "A sparkling debut... wrestles with complex questions about art-making, integrity and the ethics of ambition." "Lyon frames the choice as one of self-definition: must one be ruthless to be an artist?" "A confident first novel... The moral dilemma Lyon sets up is explored with intelligence and grace ... Best of all is Rile’s voice, snappish and self-aware and scared, taking on the world while being devoured by it, reaching out to touch the ghosts that float above the East River." "Self-Portrait With Boy captures the furious beauty of a vanished New York, an irresistible whirlwind of passion, violence, love, struggle, and above all else, art. Rachel Lyon paints an unforgettable portrait of a true art monster—a young woman hellbent on pursuing greatness, no matter the cost." "Rachel Lyon navigates a spectrum of loyalty and betrayal like a tightrope-walker, with all of the attendant suspense. A life-changing moral choice powers this atmospheric novel which shows what can happen when you do what scares you most." "A formidable novel, equal parts ghost story, love story, and riveting Bildungsroman. Full of big ideas about art and love and ambition, with prose so vivid it gives off sparks—this debut won me over completely. Chilling and beautiful, just like the work of the artist at the heart of the story." “A haunting tale of how a singular, devastating event in the life of a young woman photographer changes the trajectory of her life and comes to define her utterly. 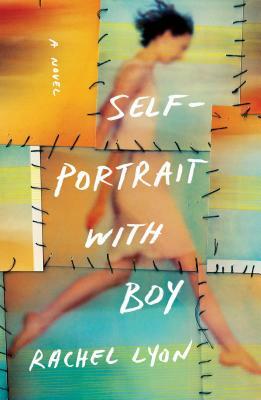 Beautifully imagined and flawlessly executed, Self-Portrait With Boy will suggest, to some readers, the obsessive interiority of the great Diane Arbus, conjoined with an original and disturbing examination of the ill-defined borders between life and art."